UV leak detection additives are well proven worldwide, because they are fast and easy to use providing high leak detection accuracy at competitive costs. Caution is advised because poor quality products can cause wear on the seals in the air conditioner as well as in the A/C service unit. 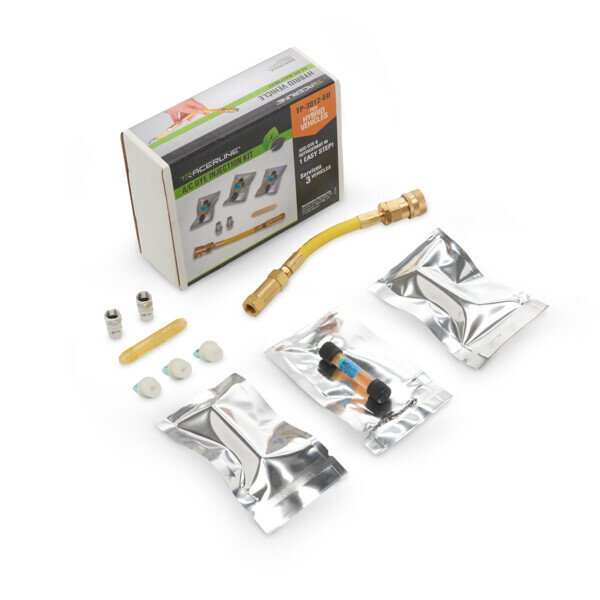 Moreover, leak detection additives can contain solvents that impair the refrigerant oil‘s lubricating ability. Therefore, when buying a leak detection additive, make sure you get a quality one! 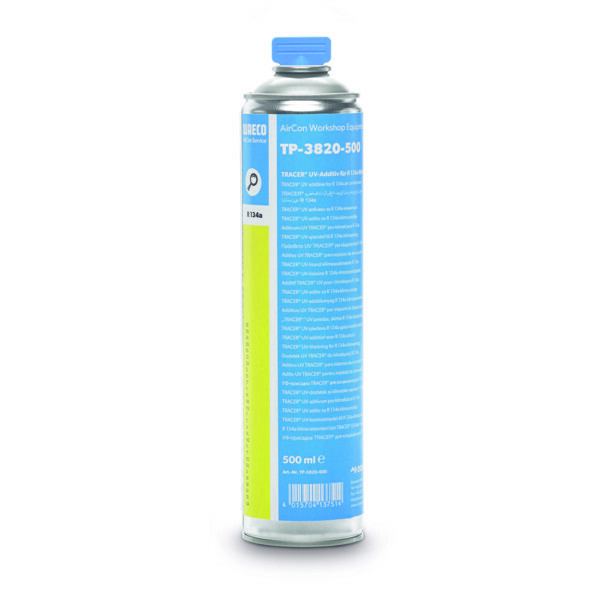 For use with refrigerant oils (PAG, mineral oil, ester), there’s currently only one UV additive available that contains no solvents whatsoever, features an excellent fluorescence and is based on high-quality refrigerant oils only. Its name: TRACER®. 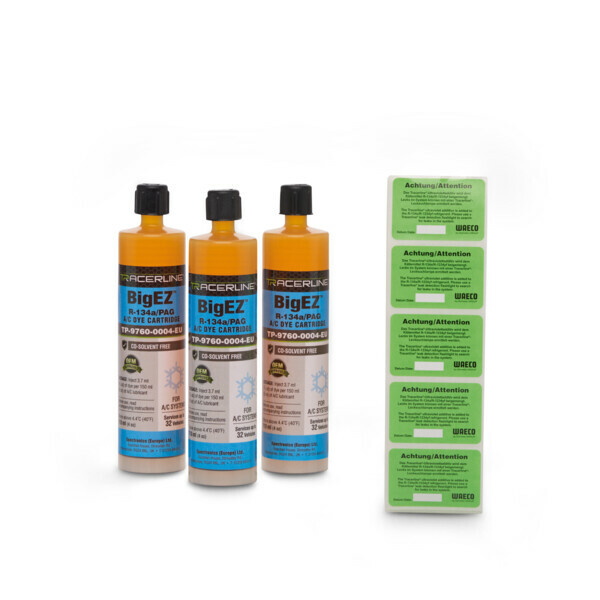 When properly applied, this additive is absolutely safe for use in all types of automotive air conditioners and A/C service units. 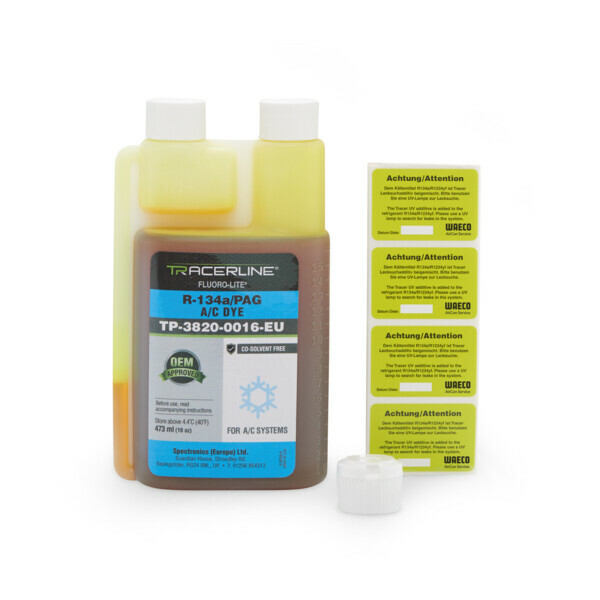 Special TRACER® leak detection additives have already been approved for use with new refrigerants, such as CO2 and R 1234yf. 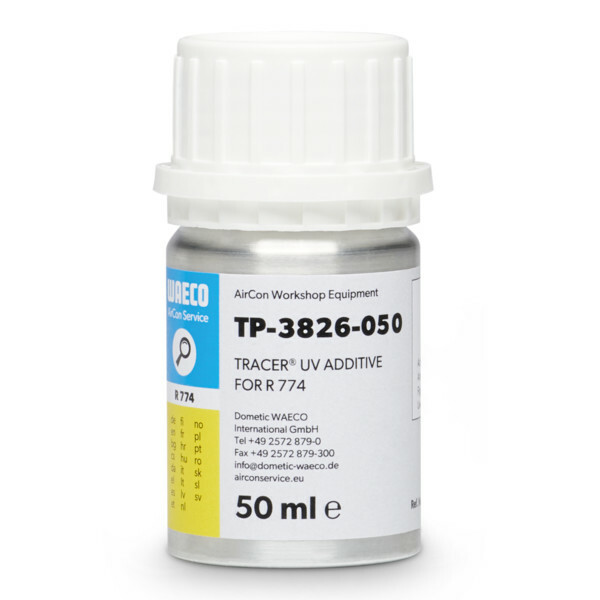 TRACER® products contain 10 times more dye than other UV additives, which makes them much more effective when it comes to tracing smaller leaks.